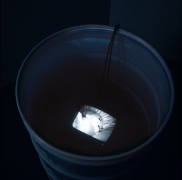 James Cohan will present Moving Stillness, an exhibition of two major works by Bill Viola, at the gallery’s Chelsea location from Thursday, February 22 through Saturday, April 14, 2018. 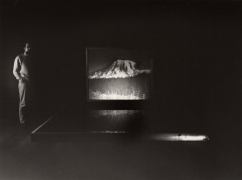 The exhibition features two large-scale installations, Moving Stillness: Mount Rainier 1979 (1979) and The Sleepers (1992), both significant works that use the element of water as a metaphor for human consciousness and reexamine our understanding of the natural world. Moving Stillness is the artist’s eighth solo exhibition at James Cohan. 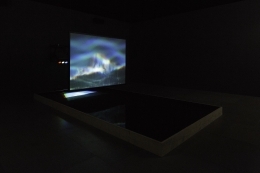 Bill Viola (b. 1951) has exhibited widely both in the United States and internationally. 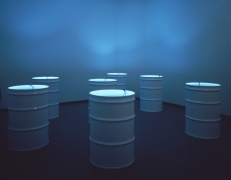 His major solo exhibitions include presentations at the Museum of Modern Art, New York, NY (1987); the Whitney Museum of American Art, New York, NY (1997); the Solomon R. Guggenheim Museum, New York, NY (2002) the J. Paul Getty Museum, Los Angeles, CA (2003); Mori Art Museum, Tokyo, Japan (2006); Grand Palais, Paris (2014); the National Portrait Gallery, Washington, D.C. (2016); Palazzo Strozzi, Florence, Italy (2017) and Guggenheim Bilbao, Spain (2017). Viola represented the United States at the 45th International Art Exhibition, la Biennale di Venezia in 1995. Viola’s works are included in major museum collections globally including the Museum of Modern Art, New York, NY; the Whitney Museum of American Art, New York, NY; the Metropolitan Museum of Art, New York, NY; the Los Angeles County Museum of Art, CA; Tate Modern, London, UK; Centre Georges Pompidou, Paris, France; and Museo Nacional Centro de Arte Reina Sofia, Madrid, Spain among others. 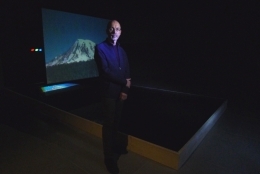 He lives and works in Long Beach, California with Kira Perov, executive director of Bill Viola Studio and Viola’s partner and collaborator for over 35 years. For further inquiries regarding the exhibition, please contact Annie Stuart at astuart@jamescohan.com or 212.714.9500.